Banks are usually opened between 8.00 – 16.00 on weekdays. Some banks are open on Saturday, but all of them are closed on Sunday. ATM and currency exchange offices are available throughout the country. You can use your bank or credit card to get cash at post offices throughout Hungary. Credit cards (AmEx, Visa, Mastercard, Diners, Cirrus) can be used almost everywhere. Look for the logo displayed at the entrance. ATMs operate 24 hours a day. Major credit cards and banking cards are accepted. Please note that most stores will not accept travelers checks. More than 3200 post offices nation-wide provide this service. Cell-phone numbers are 9-digit, after dialing 06, the first two numbers depend on the telephone company: 20, 30 or 70. Post offices are usually opened from Monday to Friday, from 8-18h. There are Internet coffees all over Budapest and a growing number of hotels and coffees offer WiFi access for laptop and smartphone users. For a comprehensive listing, with maps. Restaurant prices in Hungary generally do not include a service charge but it is a personal choice to give a tip the amount is usually around 10-15%. Budapest’s pharmacies (“gyógyszertár in Hungarian”) are well stocked and can provide medicaments for most common ailments. Each of the 23 districts has an all-night pharmacy open every day, a sign on the door of any pharmacy will help you locate the closest one. Just as anywhere around the world, tourists travelling in Hungary should follow certain basic rules: always take care about your values and travel documents, keep them in safe place and never leave any valuables in a parked car. Do not wear expensive jewellery in public and avoid the poorly lit, deserted parts of the city! Exchange your currency only at official exchange bureaus, travel agencies, official exchange offices or ATM machines – never change with street hawkers! When travelling in a taxi, use officially registered taxi companies and, before starting out, make sure that the taxi is equipped with the driver’s photo ID, and that the rate chart is displayed and the meter is on. At the end of the trip you must receive a bill; if the driver fails to provide it, always call one! In restaurant or coffees etc. always ask for a menu with a price list before making an order! In Hungary, a service charge is not customarily part of the bill. It can only be added to the bill if it is explicitly stated on the menu. The waiter’s hand-written bill is not accepted as proof of purchase, always ask for printed bill. Especially male visitors should beware of women with often excellent language skills, who have themselves invited to entertainment spots and run up bills at visitor’s expense. In general, shops are open Monday through Friday, from 10.00am to 06.00pm, on Saturday from 09.00am to 01.00pm Stores do not close in the lunch time. Food stores and shopping malls are open from Monday until Saturday between 10am to 10pm., on Sundays from 10 am to 7 pm. Non stop stores can be also found. Look for the Tax – Free Shopping emblem when you buy. The total sum of the bill (VAT included) must be at least 50,000 HUF. Ask the shop assistant for a detailed VAT invoice, VAT-refund form and a “Tax – Free” envelope. Attach the official receipt or the credit card receipt to the documents. Have all documents stamped by Hungarian Customs before leaving Hungary. No more than 90 days is allowed to pass between the purchase date and the date of the customs stamp. No more than 183 days is allowed to pass between the date of the customs stamp and the date of reimbursement. Information from Hungary City and countryside tours. Tour operator in Hungary, Budapest. Sightseeing tour in Budapest. 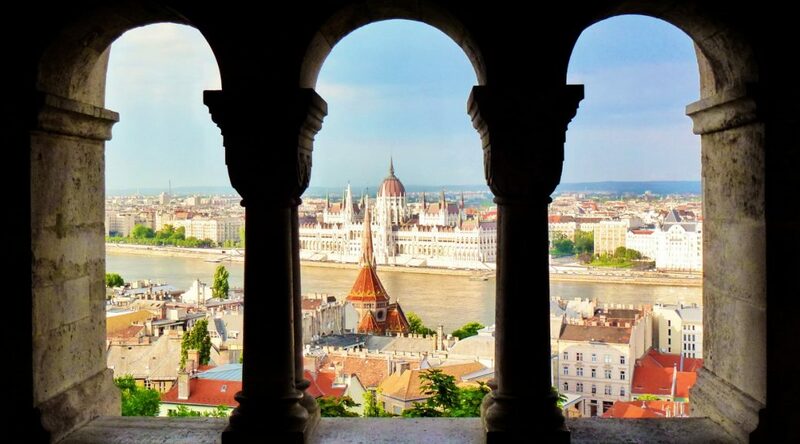 Tour packages in Hungary.